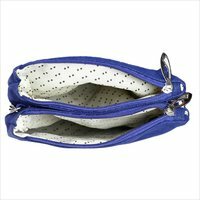 Our company has been engaged in designing and supplying an extensive array of Blue Color Leather Hand Bags. These are valued among clients for their creative designs and elegant finish. 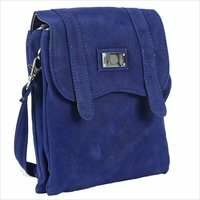 Offered handbags are perfect blend of ethnicity and modern designs that are made from genuine quality leather procured from esteemed vendors. 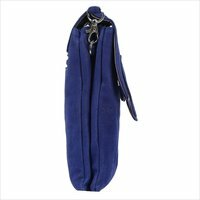 These bags are available in different colors, designs & patterns as per demanded specifications from our customers. 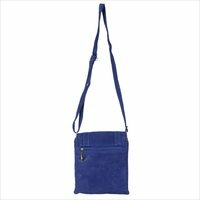 These Blue Color Leather Hand Bags are well attached with durable leather handles for providing easy handling.